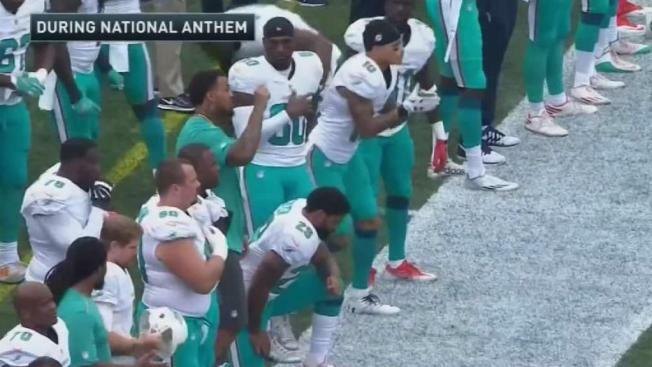 The Dolphins said in a statement: "The NFL required each team to submit their rules regarding the anthem before their players reported to training camp. We will address this issue once the season starts. All options are still open"
The Miami Dolphins imposed new rules this week related to its policy over anthem protesters. NBC 6's Johnny Archer reports.